Locksmith Parramatta Keeping you and your family safe and secured is our main focus! Call now for immediate lock out service! House lock out, car lock out, office lock out or business lock out! Any door you are locked out of we can open at Locksmith Parramatta. Service 24 hours a day, 7 days a week. We are always open and always available. Furthermore, we have around the clock service for all your locksmith needs. Fastest response in Parramatta with affordable rates and pricing. 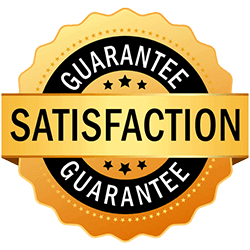 Often you don’t expect to need the services of locksmith, at any given moment, this is why we offer a convenient service with the best price in the city. Maybe you rent your home and are changing tenants? A rekey is a cost effective way to change keys but keep the same locks. Lost your letterbox key, not a problem! We can change the lock and provide you with new keys. Business lock out, office lock out, storefront lock out? We know you need to get the doors opened and back to business pronto! Fastest response in Parramatta with the best price for unlock service. Lock change, lock rekey or security upgrade? We are alway on call for all services. When you need emergency response in the middle of the night for a break-in or vandalism, call us now! We will re-secure your business and property on the spot.